The therapeutic use of different colors had been practiced since ancient time. Many ancient documents from India, china and Egypt confirm the role of colors as a holistic, non-invasive and effective therapy. Each color in the light spectrum reflects own wavelength of light that has own energy and this form of energy is used balance and stimulate body’s natural healing process. It is believed that each seven colors of light spectrum resonance with one of the seven chakras of human body and these chakras can be balanced by that particular color’s energy. The different color creates different physical and psychological effects on the human body, on the base of each color’s therapeutic property various colors and color tools are used to relieve different symptoms of the diseases. The color therapy specialist first access the medical condition of the patient and on the base of requirement may suggest use of either one or combination of tools such as gemstones, color candles, wands, prisms, colored fabrics, bath oils, colored eye wear etc. Color therapy is a complementary medicine, where colors are used to treat various disease conditions. Color therapy is non invasive, safe and effective therapy providing physical, mental, emotional and spiritual wellness. Color therapy can be applied safely to all age group of people and animals as well. It had been found effective in relieving the anxiety, stress disorder. 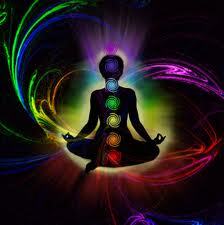 It not only balances the various chakras but makes person rejuvenated and happy by uplifting the mood.